It was a perfect weekend start for India as Indian Women Cricket Team maintained their dominance in the Women's Asia Cup by reaching the final for the seventh time in the tournament's seventh edition played in Kuala Lumpur, Malaysia. India has lifted the title on all six occasions since the inception of the tournament in 2004. 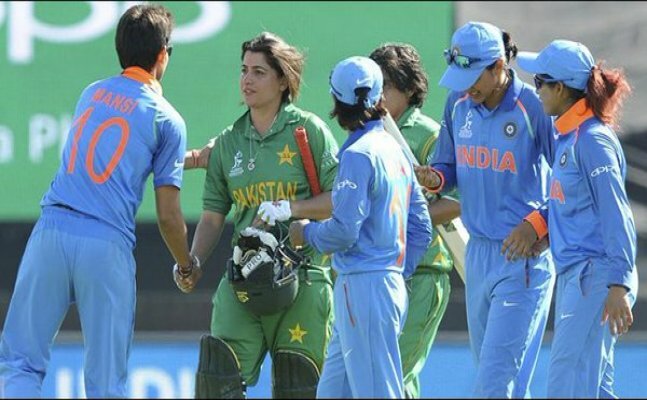 India restricted Pakistan to a paltry 72 for seven with Ekta Bisht starring with the ball. Despite losing Mithali Raj (0) and Deepti Sharma (0) early, a 65-run third-wicket between Smriti Mandhana (38) and captain Harmanpreet Kaur (34 not out) saw India home in 16.1 overs. The partnership between Indian batsmen, Harmanpreet Kaur and Smriti Mandhana gained the Indian team a number of 65 runs. The First scoring 34 from 49 balls and the other 38 from 40 balls, both together guided India to a victory with seven wickets. India is currently top of the table with eight points from 5 matches. Pakistan is second, joint on six points with Bangladesh but have played a game more. Table-toppers India (8 points) will now have to wait for the final league match between Bangladesh women and Malaysia to find their opponents for Sunday's summit clash.